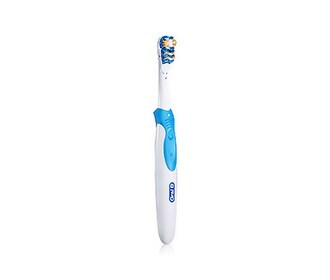 The Oral-B Cross Action Power Whitening is a Battery Powered toothbrush that deliver a consistent clean and help naturally whiten teeth by removing surface stains. The Action Cup Brush Head hugs each tooth and helps hold toothpaste for effective stain removal. The Oral-B CrossAction Power Whitening has many exciting features for users of all types. You can extend the lifetime of your Oral-B CrossAction Power Whitening with the purchase of a FactoryOutletStore Factory Protection Plan. 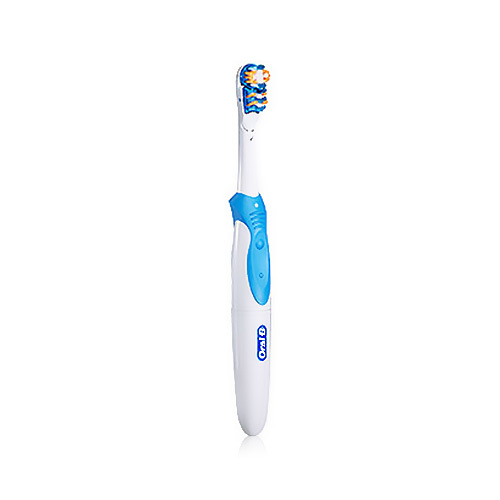 See the Oral-B CrossAction Power Whitening gallery images above for more product views. 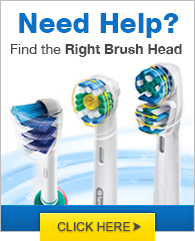 FactoryOutletStore stocks a full line of accessories like BreathRx Antibacterial Mouth Rinse, BreathRx TongueScraper, and BreathRx Whitening Toothpaste for the Oral-B CrossAction Power Whitening. The Oral-B CrossAction Power Whitening is sold as a Brand New Unopened Item. Serves purpose and uses very little battery juice.